Mine: Great stuff for a mystery/detective fan. Much in the Bogart tradition. So much atmosphere it is hard to believe. Great dialog. Leonard Maltin/Plot synopsis: Bizarre, fascinating mystery in the Hammett-Chandler tradition (and set in the 1930s) with Nicholson as L. A. private eye led into a complex, volatile case by femme fatale Dunaway. Director Polanski appears briefly as the hood who knifes Nicholson. 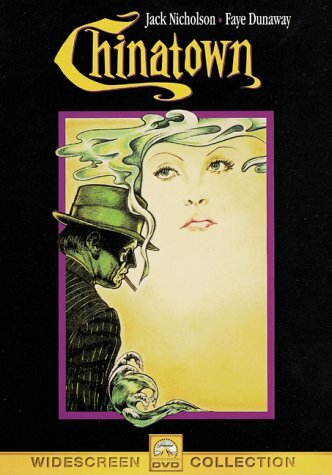 Oscar for Best Original Screenplay (Robert Towne). Sequel: THE TWO JAKES. Panavision.